Ring the bell! School is in session. My kids go back in just a few days (insert a silent hallelujah). The papers, the homework, the soccer games….the germs. Fall and winter are coming and that means cold and flu season are just around the bend. Having sick kids is the worst, not only because you worry about them and hate to see them so miserable, but also because when they’re miserable, chances are high that mom is also miserable. 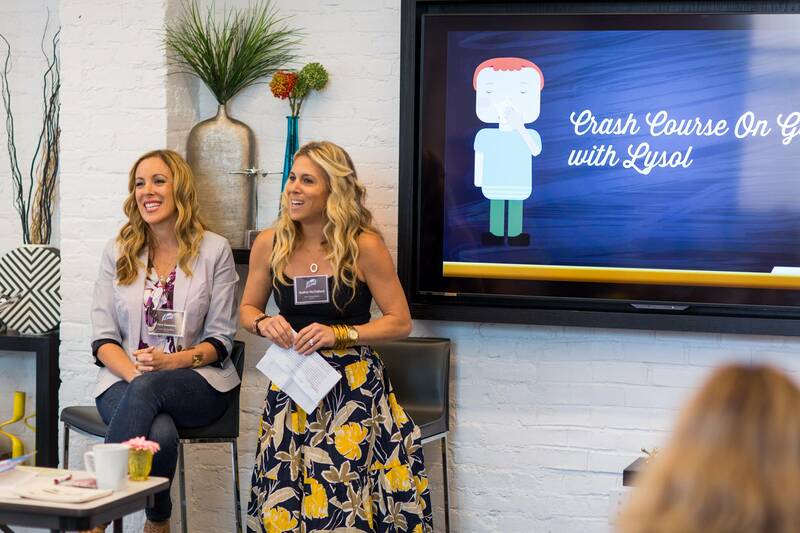 I recently had the opportunity to attend a sponsored event, Lysol Germ School, hosted by Audrey and Vera, in NYC. It was so much fun and really informative. 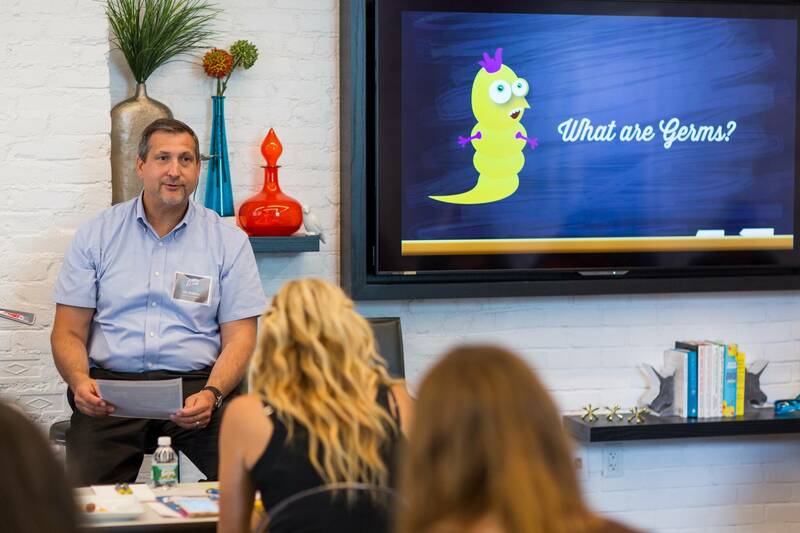 I honestly took notes like I was back in school and learned a lot about what germs are all about anyway, how we get them, and what we can do to keep our classrooms and kids healthier this back-to-school season. Read on for the cliff notes! 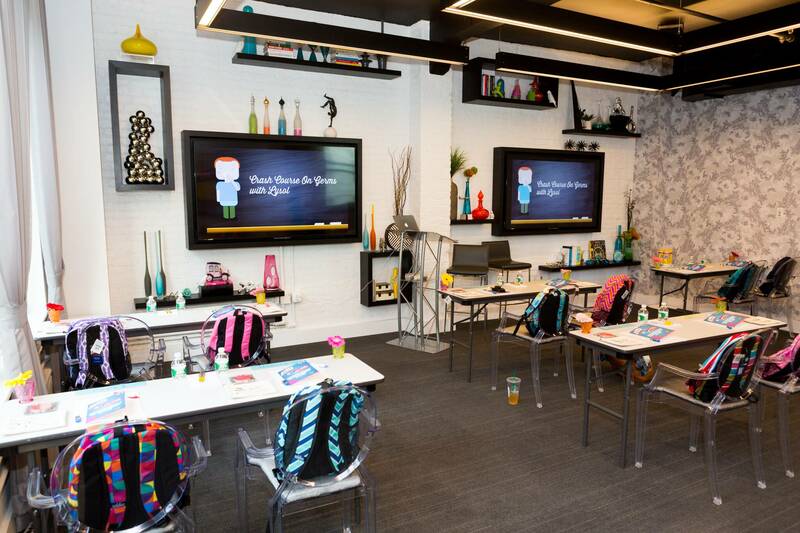 Lysol Germ School might have been in the coolest classroom I’ve ever been in! Each class member/blogger had their own assigned seat with some school supplies ready and waiting. Isn’t this a a neat space? Here’s where I sat, right in the front row on the right side of the room. 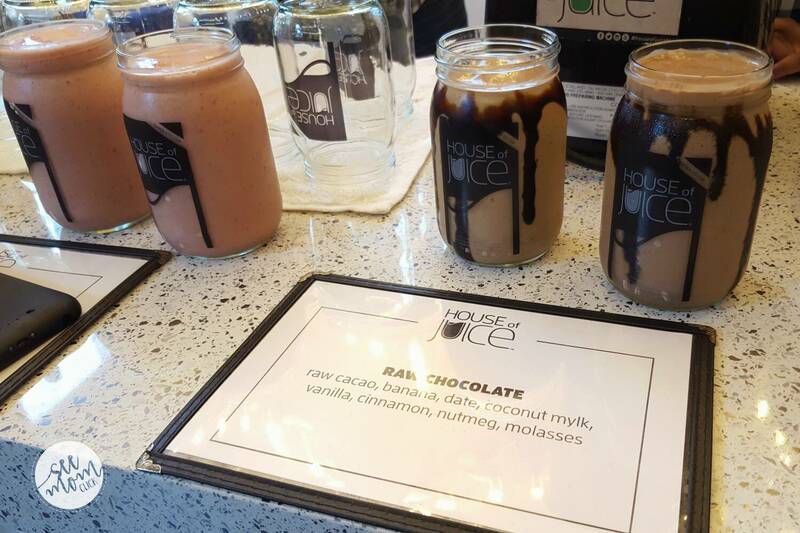 Knowing you can’t learn on an empty stomach, House of Juice was there to serve us a light breakfast and these delicious smoothies. Yes, I chose the chocolate one and it was fantastic. Here’s my graduating class! 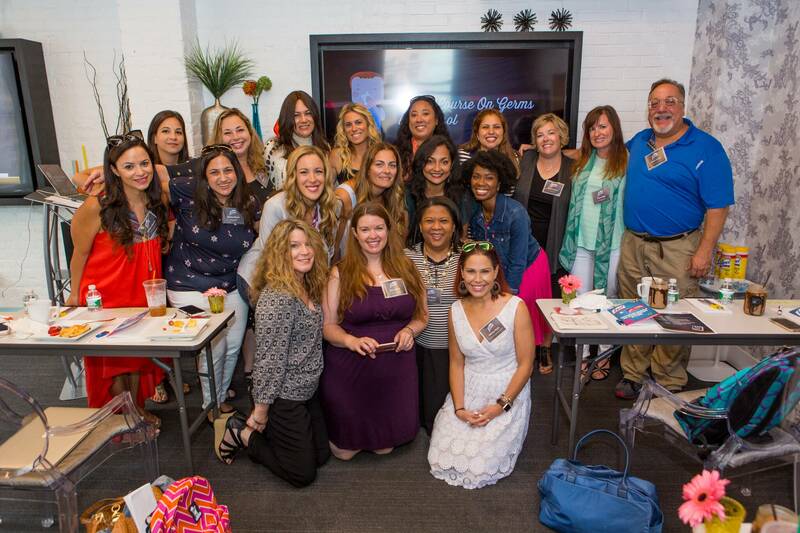 Such a great group of influencers. We had so much fun and learned so much that I’m excited to share with you. Hosts Vera and Audrey welcomed the group and gave us an intro, and then class was in session. So put on your thinking caps. This is where you’ll find the real dirt. Pun intended. 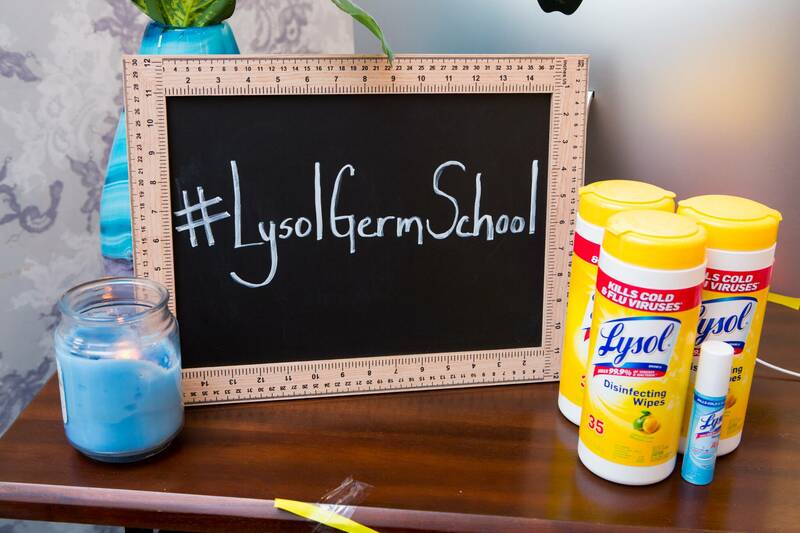 After the initial intro activities, Lysol Germ School began with a crash course on germs from ‘germologist’ Joseph Rubino. Actually Joe is the Research and Development Director of Hygiene and Personal Care and Surface for Lysol. He’s degreed, he’s published, he’s a germ expert. Joe gave us so much information about germs. He talked about the three types of germs (viruses, bacteria, and fungi) and what they have in common and how they differ. One of the things he said that stuck with me is that germs are everywhere. You probably could have guessed that, but did you know that we have so many germs on our bodies that they weigh as much as our brains. GAG. Colds aren’t caused by cold, wet weather. They’re caused by a virus. However, when it’s cold outside we tend to gather inside more, closer together, making it easier for that virus to spread. Flu season is from October to May. Cold season is from about September to May. Can you catch a cold by kissing someone with a cold? Surprisingly, no. You’re more likely to catch a cold by shaking hands. The effect that cold and flu viruses have on classrooms is significant. 22 million school days each year are lost to illness. That’s crazy high. So how are we spreading all these germs? They’re spread in several different ways. One is airborne – coughing, speaking, sneezing. And you’ll be thrilled to know that people with the cold and flu virus can spread it to others up to about 6 feet away. Even better? The flu can travel through the air up to 12 feet at 100mph. What in the actual world? We might need Hazmat suits. 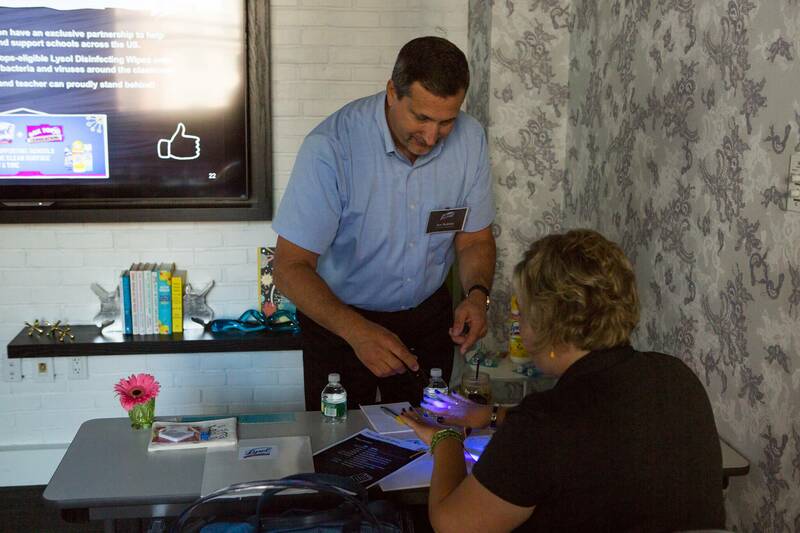 Kids can touch and retouch more than 300 surfaces in a half hour. I’m pretty sure they’re talking about my son Leo. “Stop touching that. Don’t touch ANYTHING. Get your hands off that.” That’s my loop every time we’re out of the house. He puts his hands on everything. The flu virus can live for up to 48 hours on hard surfaces. This is where Lysol comes in. 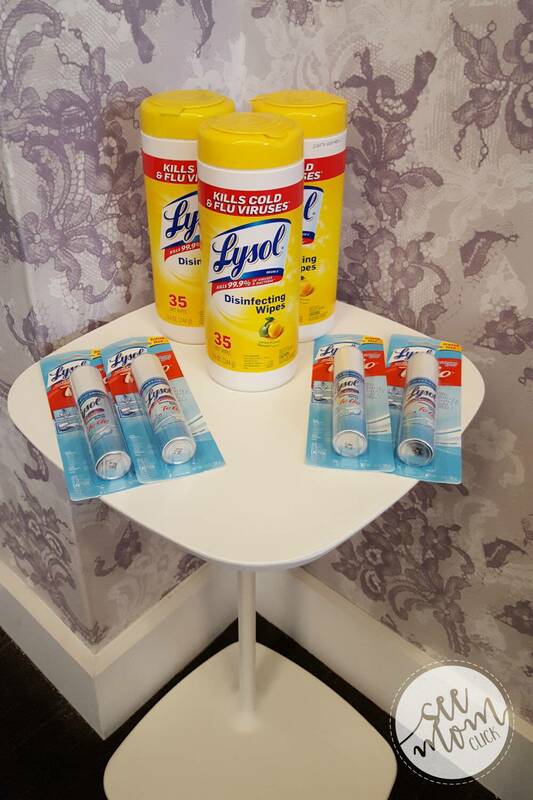 Lysol Disinfecting Wipes and Lysol Disinfectant Spray kill 99.9% of viruses and bacteria. Gift your child’s teacher with these products at the beginning of the school year and you’ll be giving yourself a gift too. I help in the classroom every week. Just trust me. What about in your home? During cold and flu season up to 59% of surfaces in a home can be infected. Ack. Spray that Lysol everywhere. There are certain hot spots I try to hit like the microwave panel, refrigerator door handle, my cell phone, light switches, and the remote control. In addition to disinfecting surfaces, teaching kids healthy habits can go a long way in keeping them healthy. Proper hand washing is the #1 most important thing to squelch the spread of germs. In the picture above I had just washed my hands and that light was showing a few spots here and there that I missed. And I thought I did a thorough job! Washing for 20-30 seconds is recommended, and give a full rinse down the drain after you scrub. Kids can sometimes be encouraged to wash longer by singing the ABCs or Happy Birthday song. Coughing and sneezing into the elbow instead of into a tissue in your hand is a great way to keep germs off your hands, the instruments we use to spread them everywhere. Eating healthy and staying active will keep your body in its best condition to fight off germs. And when you or your child get sick, stay home. Don’t be a hero, don’t worry about missing a day of school. Being around other people when you’re sick isn’t doing anyone any favors. After our germ lesson with Joe, we had a round table with Dr. Jennifer Zubler (above in the orange dress), a pediatrician that works with organizations like the Center for Disease Control on pediatric issues. She’s been in practice for 18 years, and I have to say, it was so fun asking her all the questions we never are given the time to ask our kids’ doctors! Wet: Get your hands wet first. Dr. Zubler said that 6-12 colds per year is normal in elementary school. As kids get older and have been exposed to more, they’ve developed immunity to different germs and they won’t make them sick. Want to reduce that number? Teach those healthy habits above. And she recommends getting a flu shot. My kids are not going to be happy to hear this because they’ve done the mist every year, but it’s been shown to not be as effective as the shot. So this year we’re all getting the same vaccine, right in the ‘ole arm. I haven’t had the flu in years but I vividly remember the last time it hit me. Do your kids’ schools collect Box Tops for Education? Mine do and I’ve got a little plastic baggie in my kitchen where I collected them year round. Lysol is the new exclusive household cleaning brand partner with Box Tops. I love that they’re joining this program to support schools! 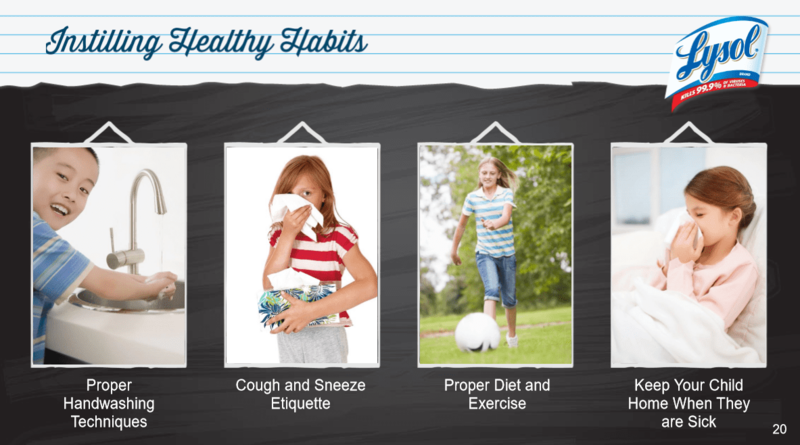 In yet another effort to support schools, Lysol has also developed the Healthy Habits Program to help schools and parents teach kids proper hand washing and sneezing techniques to reduce the spread of germs. September 19 kicks off Healthy Habits Week. Share this link with your school’s health teacher! 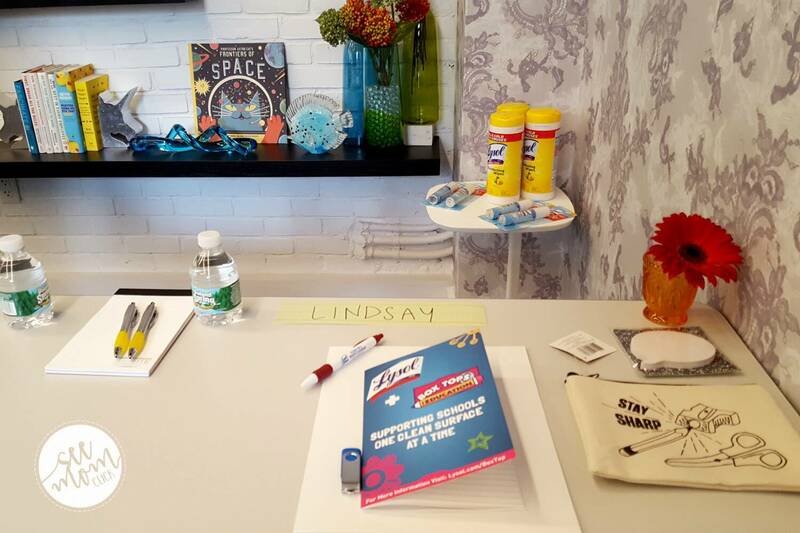 You can get more tips on killing germs on the Lysol Facebook page. I hope you were able to learn something about germs, how they spread, and what we can do about it. I did! Germs are everywhere, most likely to spread by your hands. Teach kids to wash their hands often and properly. Use Lysol to kill germs that are all over surfaces and can live there for 48 hours. Here’s to a healthy school year! It is amazing how small germs are, yet they can cause so much havoc. 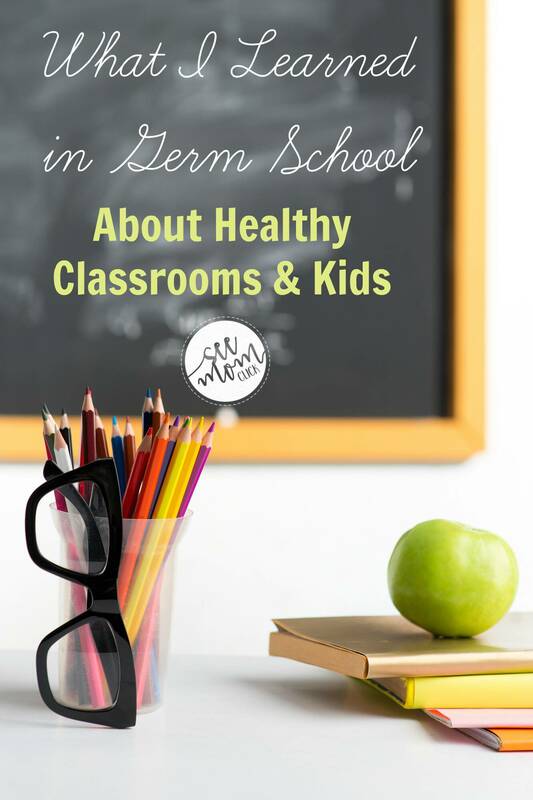 This is a very informative post, and the germ school is such a great way to get the message across. I have never heard of anything like this before. Amazing how often little hands can touch surfaces and hand washing is so important. Thanks for your comment Carl! I know I’m always telling my kids ‘don’t touch anything!’ when we’re out. Germs are really everywhere. 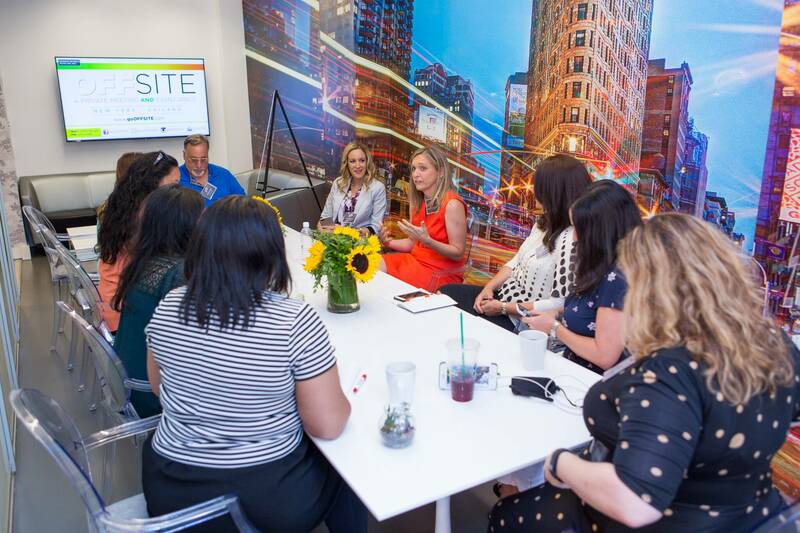 I learned so much about how to keep my family and the kids’ classrooms healthier this year! This is so awesome! It’s important to understand germs to know how to prevent diseases. Thanks for sharing this experience, it looks like it was very informative!